A laugh-out-loud rogues’ gallery. Hide if you hear this lot coming! Who are the villains you should most avoid on a dark and stormy night? (Or any time, really.) 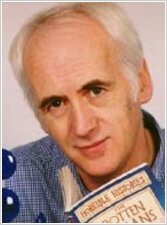 Find out in this totally horrible book, packed full with foul facts, loathsome lists and vile villains! Who made flutes from the bones of his unlucky victims? Who escaped prison by locking a policeman in the cells? Who drowned his brother in a barrel of wine? From grotty gangsters to manic murderers, take a good look at these crooks – from a safe distance! 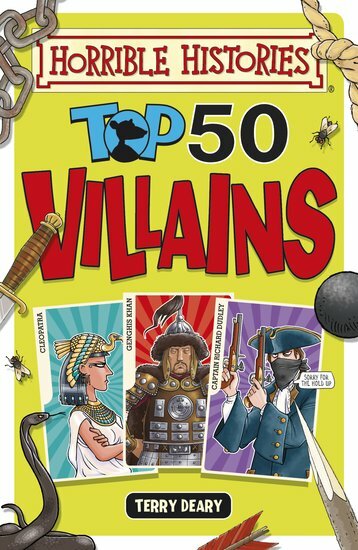 this book is incredible it shows 50 villains from around the world I enjoyed reading about all of them but my favourite was emperor Tiberius of Rome. 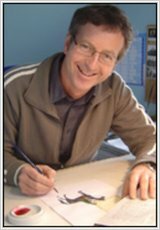 terry Dearies amazing and informative facts plus martin browns incredible illustrations are the perfect combo.